Zanele Muholi and The Women's Mobile Museum Exhibition Ask: Who is Art For? A multidisciplinary exhibition at Pennsylvania Academy of the Fine Arts challenges the social and economic barriers of the art world. I know I’m in for a treat when a Pennsylvania Academy of the Fine Arts show is in the Richard C. von Hess Foundation Works on Paper Gallery. It’s an intimate three-room space with low ceilings and warm, gentle light, making it perfect for taking in prints, drawings, or, as in the case of Zanele Muholi and The Women's Mobile Museum, photography. That said, it’s immediately—and purposefully—jarring to enter the space and hear the announcements played in the SEPTA Market-Frankford Line (Philadelphia’s east-west subway service) ringing out in the gallery, disrupting the tranquil setting with the hustle and bustle of everyday life. I take that line every day as part of my commute, or just to get around town. I pause for a moment, wondering if the actual subway announcements have somehow been rigged to echo at the Pennsylvania Academy of the Fine Arts. The building is on a subway line (albeit the north-south Broad Street Line), I think uselessly to myself—maybe there’s a system malfunction? Of course, this is not the case. The audio is coming from As Above, So Below, a video work by artist Shasta Bady, one of the participants in The Women’s Mobile Museum, a residency project by South African photographer Zanele Muholi and the Philadelphia Photo Arts Center that combines arts outreach and professional development. 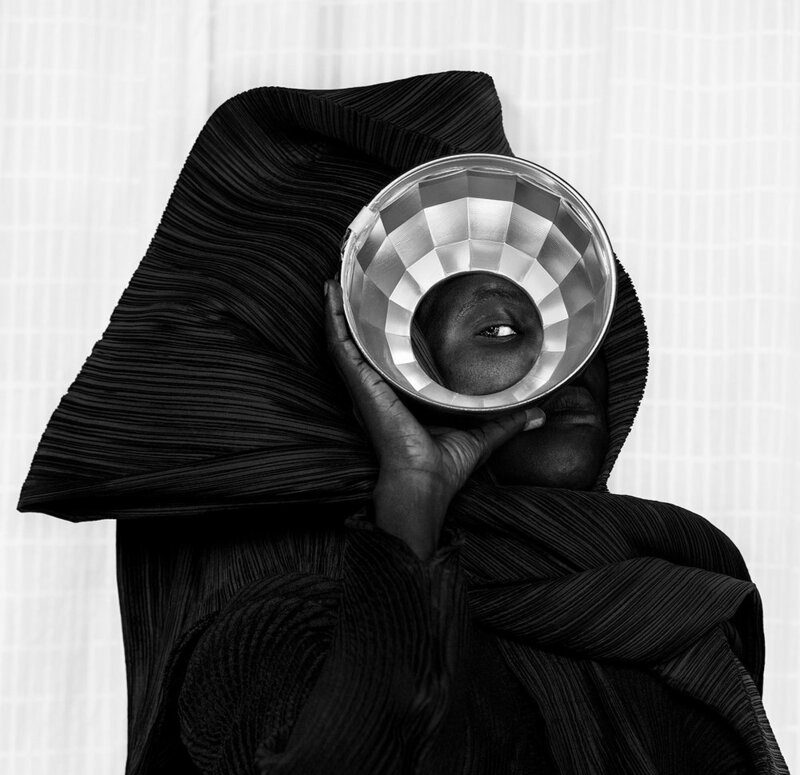 Concerned with questions of who has been afforded access and opportunity to break into the art world, Muholi selected ten Philadelphia women to form a traveling photography collective. The women subsequently underwent technical training to hone their photography skills and undertook projects of their own. Muholi and PPAC also used their cultural cachet to introduce these women to local curators and museum officials. Shasta Bady’s As Above, So Below implicates the city of Philadelphia itself in the creation of these “art deserts”—neighborhoods where the inhabitants don’t necessarily have opportunities to come to Center City Philadelphia to see the big museums. Philadelphia doesn’t have the same comprehensive transit system like New York does; the subway stop nearest to the Boys and Girls Club, for example, is still a mile away. Bady’s video likewise presents the promises and failures of these kinds of public goods and spaces, like public transit, highlighting who is left behind, who doesn’t count enough when it comes to designing public transit, combining portraits of fellow subway riders and footage of the subway in motion with this audio component. As you listen to the subway announcements, for example, you do begin to take note what stops are designated as wheelchair-accessible, and which are not. Artist afaq’s suite of works, untitled [zola] / [zola] untitled, arranged in a narrow band across three walls in the gallery space, uses the particular technique of the self-portrait to critique the western gaze. A Black Muslim who wears a turban, afaq takes these pictures of herself as a way of “taking control of [her] own image,” where she is not rendered an exotic object, but the subject proper. One of the more striking photographs in this series, still, immediately recalls the infamous portrait of Sharbat Gula with its subject’s fixed, entrancing stare depicted at a three-quarter view. However, still differs from the photo of Sharbat Gula in that its subject is also its creator, endowing the figure with the power to set the terms of the encounter with the viewer that does not exist in the photograph once known as Afghan Girl. still is very specifically afaq, a product of her choices and experiences in the world, whereas Afghan Girl was never meant to explore Sharbat Gula’s interiority, but to provide a useful, eye-catching avatar of refugee women and children. And yet afaq continues to remind us that even these photographs of herself are not, and cannot be, the whole story of afaq herself. In shards, her face is partially obscured with a semi-transparent, silvery speckled cloth that distorts her eyes and lips, while in noname, she blurs the edges of her features with a pale cloth reminiscent of netting, making sure we know that we, the viewer, can never have her fully, cannot use these images to capture her and classify her. Davelle Barnes’ series of photographs, USNAT, also uses the medium of self-portraiture in particularly striking ways to discuss her experiences as a Black queer woman in the United States Army. Oil and Concrete, the strongest of the three photographs on display, uses the idea of a murky reflection in a puddle of oil to examine the perceptions and abuse she faced while serving. The use of oil itself is key, ultimately providing a sad commentary on the United States’ use of the army and sacrifice of human lives in the desire for oil in the Middle East.This thing that is now sluiced into a pause in the concrete floor, wasted. Good intentions, if they existed, are reflected and muddled back at us by the oil. The other two most impressive bodies of work in The Women’s Mobile Museum shift away from explicit self-portraiture into more narrative and allegorical modes. Danielle Morris gives us snatches of stories and memories of her childhood home in Larchwood, staging compositions with a truly cinematic eye. The works in this series aren’t portraits of people or even a specific place, but of the traces of moments within those walls that shaped Morris’ identity and sense of self. In rites, a figure is depicted doing her hair bent over a kitchen sink, surrounded by a velvety darkness dispelled only by the yellow-white light above her head; static, which depicts a gray-screen television and a dim lamp behind a curtain as two points of light in an unfathomably dark room, is particularly evocative as a story we can only imagine the specifics of. It’s as if the TV is still warm, left to hum in an empty room. Andrea Walls’ series North From Here: A Series of Disembodied Photographs is also an arresting and dynamic body of work that also has a more narrative feel to it. Her five photographs, arranged in a single row on one wall, are inspired by stories of the current United States border policy, where parents and children looking for a better life are being separated, often irrevocably. Building upon her reaction to the humanitarian crises at the border, Walls expands the scope of the project to consider other forced separations and dreams of escape, including that of enslaved people along the Underground Railroad. Her “visual stories,” as she refers to them in her wall text, display the traces of people that are left behind during these escapes and attempts to reach a place “north from here;” a place where a better life is possible. In Lost in Traffic, a butter-yellow dress hangs from a branch slightly askew, as if it was drying but quickly abandoned; in North From Here, two pale yellow shoes continue the visual pattern of a straggling zigzag of tree roots and underbrush, as if these man-made objects are slowly but surely becoming a part of that landscape. In Global Tayman Symmetry, the composition is reflected across a vertical axis, turning a simple image of water flowing over rocks and plastic toy soldiers almost psychedelic and unreal in how they are mirrored. The lingering sense is one of utter strangeness and discomfort, highlighting the artificial insertion of the plastic soldiers pointing their guns at one another, because this reflexive (and reflective) violence is inhuman and unnatural. The Women’s Mobile Museum displays the prodigious talents of a new generation of women photographers--the women not represented in largely white MFA programs or much of museum programming. Much as As Above, So Below draws attention to problems of accessibility and inclusion in public spaces, so too does The Women’s Mobile Museum as a whole by showing us what we aren’t seeing in typical art spaces, and making us question why what the art world chooses to show off is so limited and limiting.